२. निवेदन माग बमोजिम आदेश जारी हुने हो, होइन ? (a) Article 14 condemns discrimination not only by substantive law but a procedural law. (b) Art. 14 forbids class legislation but does not forbid classification. (ii) the differentia must have a rational relation to the object sought to be achieved by the statute in question. (d) The differentia and object are different and it follows that the object by itself cannot be the basis of the classification. (g) If a law deals equally with members of a well-defined class, it is not open to the charge of denial of equal protection on the ground that the law has no application to other persons. (h) Even a single individual may be in a class by himself on account of some special circumstances or reasons applicable to him and not applicable to others, a law may be constitutional even though it relates to a single individual who is in a class by himself. (i) The legislature is free to recognize degrees of harm and may confine its restrictions to those cases where the need is deemed to be the clearest. (j) There is always a presumption in favor of the constitutionality of an enactment and the burden is upon him who attacks it to show that there has been a clear transgression of the constitutional principles. (k) In order to sustain the presumption of constitutionality, the court may take into consideration matters of common knowledge, matters of common report, the history of the times and may assume every state of facts which can be conceived. (l) It must be presumed that the legislature understands and correctly appreciates the need of its own people, that its laws are directed to problems made manifest by experience and that its discriminations are based on adequate grounds. संविधानको धारा १३ को प्रयोजनको लागि सचिव पद र मुख्य सचिव पद दुईटा भिन्न वर्ग मानिन्छ । यो वर्गीकरणलाई Valid, Permissible र Reasonable Classification भनिन्छ । यदि भोलि मुख्य सचिव र सचिवले आफूलाई निजामती सेवाका राजपत्रांकित प्रथम श्रेणी वा द्वितीय श्रेणी वा राजपत्रांकित तृतिय श्रेणीका वर्गसँग तुलना गरी अवकाशका सम्बन्धमा ती श्रेणीहरूलाई निजामती सेवा ऐन, २०४९ को दफा १७ को पदावधीको व्यवस्था नलाग्ने ती पदहरू उमेरको हदबाट मात्र अवकास हुने तर, विशिष्ट श्रेणीका मुख्य सचिव र सचिवलाई मात्र किन दफा १७ को पदावधी लाग्ने निजामती कर्मचारी सबै एउटै वर्गका हुन् तसर्थ सचिव र मुख्य सचिव पदको पदावधीको आधारमा अवकास हुने व्यवस्था भेदभावकारी भयो त्यसैले सचिव पदको पदावधी तोकिएको निजामती सेवा ऐन, २०४९ को दफा १७ संविधानको धारा १३ सँग बाझिएकोले अमान्य गरी पाउन धारा १०७(१) अन्तर्गत निवेदन गर्न आएमा यस अदालतले के गर्ने ? कुनै निश्चित उद्देश्य प्राप्तीको लागि राज्यले कानून बनाएर मनासिव वर्गीकरण गर्न पाउने मान्य सिद्धान्त विपरीत के यस अदालतले निजामती सेवा ऐन,२०४९ को दफा १७ संविधानको धारा १३ सँग बाझिएको ठहर गरी अमान्य गर्ने ? 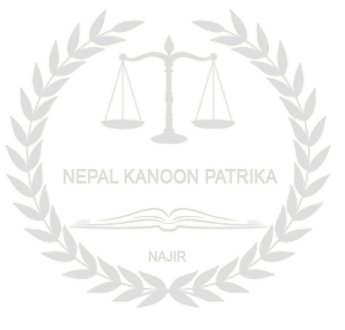 यस अदालतले धारा १३ को Equality before the law र Equal protection of law को व्यवस्थालाई कसरी बुझ्ने र कसरी व्याख्या गर्ने ? संगठनमा कर्मचारीको व्यवस्था र कर्मचारीको संख्या Pyramidical structure मा राखिन्छ । नीति निर्माण गर्न माथिका उच्च पदहरूको संख्या सिमीत हुन्छ । माथिका उच्च पदहरू सिमित पद भएको र माथिको उच्च पदमा कार्य क्षमताको आधारमा बढुवाद्वारा पूर्ति गर्न र तलका अरु सबै समानलाई समान अवसर प्रदान गर्ने उद्देश्यले उच्च पद र प्रमुख पदहरूलाई कानूनले Separate Class मा वर्गीकरण गरी ती पदहरूमा Super annuate हुने उमेरको हद भन्दा अगावै तोकिएको पदावधि पूरा भएमा पदावधीको आधारमा नै अवकास दिइने अर्थात् माथिका केही पदलाई tenure पद गर्ने प्रशासनको मान्य प्रचलन हो । नेपाली सेना सम्बन्धी,नेपाल प्रहरी सम्बन्धी लगायत संस्थानका कर्मचारी सम्बन्धी कानूनमा पनि प्रमुखहरू उमेरको हदबाट नभई पदावधीको आधारमा अवकाश हुने व्यवस्था भएको देखिन्छ । वर्गीकरणको मान्य सिद्धान्त अनुसार अवकासको यो ब्यवस्था बिलकुल Permissible classification हो । यदि ती माथिल्ला उच्च पदहरू separate Class को पद हो भनी वर्गीकरण अर्थात Classification का सिद्धान्तलाई हामीले नमान्ने हो भने नेपाली सेना, नेपाल प्रहरी लगायत पदावधी तोकिएका प्रमुख पदका ब्यक्तिले आफूलाई अरु तल्लो पदसँग तुलना गरी Tenure पदको व्यवस्थाहरू भेदभावकारी भनी धारा ३२ अन्तर्गत निबेदन पर्न आएमा धारा १०७ को (१) को अधिकार प्रयोग गरी नेपालको Service Law मा भएको Tenure पदको व्यवस्था संविधानसँग बाझेको ठहर गरी हाम्रो न्यायपालिकाले नयाँ खालको Jurisprudence विकास र श्रृजना गर्नुपर्ने हुन्छ । यसरी वर्गीकरणको सिद्धान्त नमान्दा न्यायको सर्वमान्य सिद्धान्त के होला ? "It is said that there is nothing new in the Draft Constitution, that about half of it has been copied form the Government of India Act of 1935 and that the rest of it has been borrowed from the Constitutions of other Countries. Very little of it can claim originality. ३८(१)(D) "Subject to the provisions of article 59 judicial decisions and the teachings of the most highly qualified publicists of the various nations, as subsidiary means for the determination of rules of law." The classification may be founded on different basis and what is necessary is that there must be a nexus between the basis of classification and the object under consideration. Article 14 of the Constitution does not insist that the classification should be scientifically perfect and a court would not interfere unless the alleged classification results in apparent inequality. When a law is challenged to be discriminatory essentially on the ground that it denies equal treatment or protection, the question for determination by court is not whether it has resulted in inequality but whether there is some difference which bears a just and reasonable relation to the object of legislation. Mere differentiation does not per se amount to discrimination within the inhibition of the equal protection clause. To attract the operation of the clause it is necessary to show that the selection of differentiation is unreasonable or arbitrary; that it does not rest on any rational basis, having regard to the object which the legislature has in view. If a law deals with members of a well-defined class then it is not obnoxious and it is not open to the charge of denial of equal protection on the ground that it has no application to other persons. It is for the rule-making authority to determine what categories of persons would embrace within the scope of the rule and merely because some categories which would stand on the same footing as those which are covered by the rule are left out, would not render the rule or the law enacted in any manner discriminatory and violative of Article 14. It is not possible to exhaust the circumstances or criteria which may afford a reasonable basis for classification in all cases. It depends on the object of the legislation, and what it really seeks to achieve.